The Consumer Financial Protection Bureau continues to come under fire for what is coming to seem more and more like a systemic culture of racial and gender discrimination. The agency has been under scrutiny for months by the House Financial Service Committee’s oversight arm, and the Government Accountability Office began its own investigation last month. The scrutiny began when CFPB employee Angela Martin came forward to expose what she called “a pervasive culture of retaliation and intimidation that silences employees and chills the workforce from exposing wrongdoing” at the agency. An independent investigator looked into Martin’s claims and concluded they were valid. Since then, dozens of CFPB employees have come forward with claims of their own. In congressional hearings and in a new report by the Washington Times, they all describe a culture where the agency’s lack of accountability allows managers to stock their divisions with inexperienced or unqualified friends, rule their departments with iron fists and retaliate against anyone who disagrees with them. Among the allegations the Washington Times uncovered were claims of discriminatory pay practices, racial insensitivity – one naturalized US citizen with more than 10 years’ government service was allegedly referred to as an “f’ing foreigner” by management – and a culture of retaliation against employees who complained about conditions. 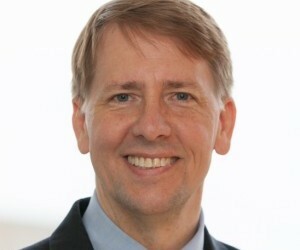 CFPB Director Richard Cordray claims that agency managers now receive “considerably more” training in the workplace than they had before. But CFPB employees say Cordray’s testimony is cold comfort in a culture where racism and sexism have become the norm. В интеренете нашел интересный интернет-сайт со статьями про www.dekorde.com.